"We had an elder whose dream was to dance with Minnie Mouse." This week, a group of 24 nursing home residents from three states will be vacationing in the most magical place on earth. This marks the fifth time that Disney World's Magic Kingdom is the destination for Signature HealthCare seniors on vacation. 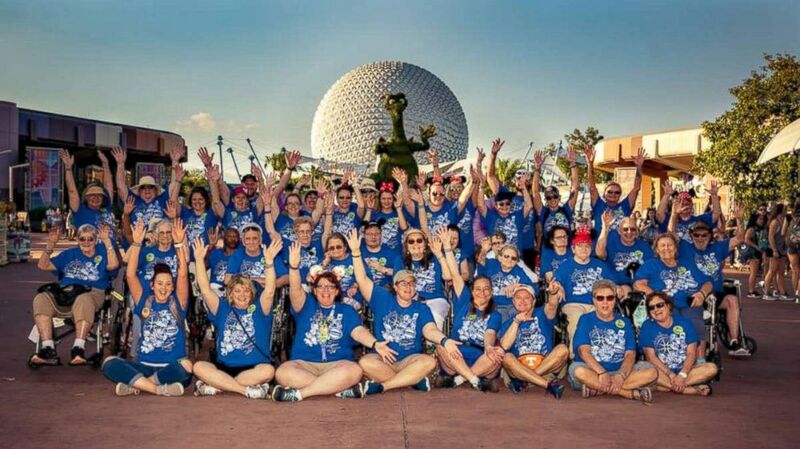 (Courtesy Signature HealthCARE) From April 23 to April 26, a group of 24 nursing home residents from three states are vacationing in the most magical place on earth. "We were at Epcot yesterday and they enjoyed the flowering garden festival there," said Angie McAllister, director of cultural transformation at Signature HealthCare in Louisville, Kentucky, told ABC News. "We had a private dessert party for the illuminations fireworks show. "We had an elder whose dream was to dance with Minnie Mouse and he started crying." Raymond Crider, 77, nursing home resident from Prestonsburg, Kentucky, said his dream came true to dance with Minnie Mouse. "Happiness is the only word to describe what I felt when Minnie hugged me and grabbed my hand yesterday," said Crider of his first-time visit to Disney. 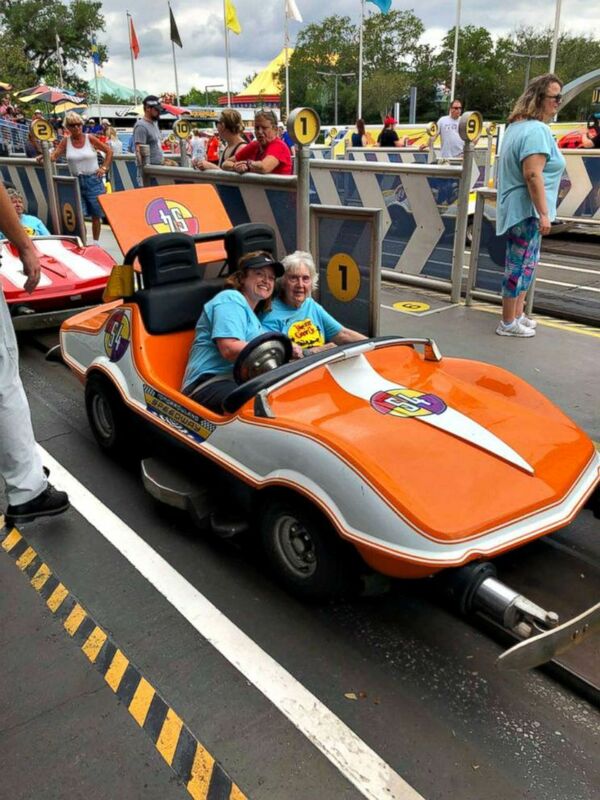 (Courtesy Signature HealthCARE) A nursing home resident and employee of Signature HealthCARE enjoy a ride at Disney World in Florida in April 2018. The 24 elders were ages 70-88, according to McAllister. In total, the group trip has 63 attendees including chaperones, nurses and other staff members. This year’s Disney vacation is the 20th time Signature nursing home residents have been on vacation since 2011. Since then nursing home residents and employees have vacationed in Boston, Panama City Beach, Gatlinburg, Washington, D.C., and many other destinations. 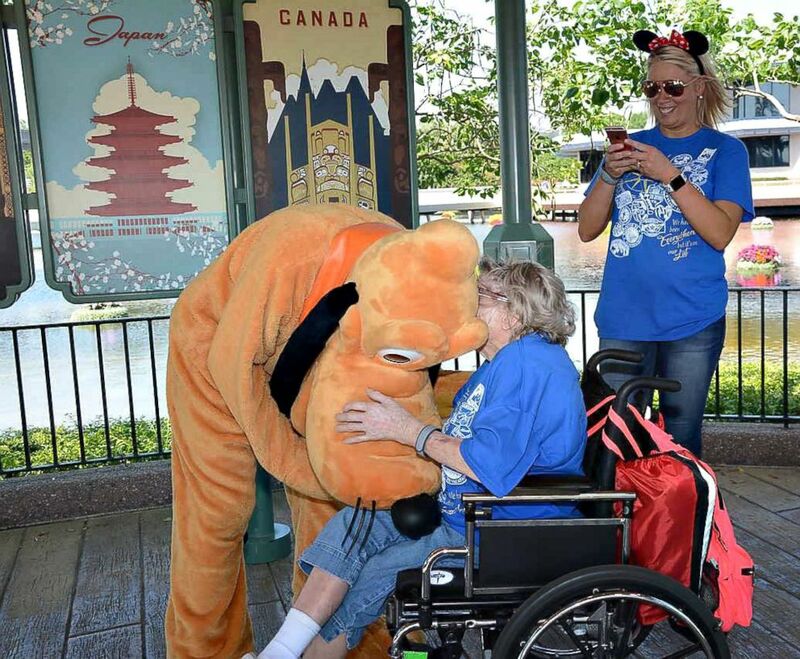 (Courtesy Signature HealthCARE) A nursing home resident meets the Disney character, Pluto, while vacationing in Disney's Magic Kingdom in April 2018. "There's a lot of joy, there's a lot of laughter and there's a lot of happiness," McAllister said. "Everyone came with a bucket list so we are doing our best to make that happen." 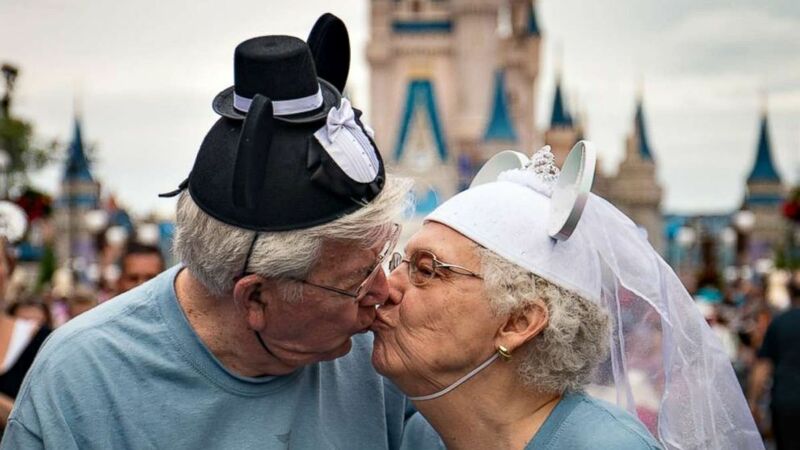 (Courtesy Signature HealthCARE) The Crisps share a kiss while vacationing in Disney World in 2016 with other nursing home residents from Riverview Health Care Center in Prestonsburg, Ky. This year, the group is staying at the Grand Floridian. The trip began on April 23 and will continue until Thursday.